Starting in April, developers submitting new titles to the iOS App Store will have no choice but to use the iOS 11 SDK — and if they're supporting the iPhone, offer iPhone X display compatibility. That includes Super Retina resolution, and interface accommodations for the notch, Apple said in an email to developers on Thursday. When publishing through iTunes Connect, apps will require iPhone X screenshots, even if they're just produced through Xcode's iPhone X simulator. Apple has yet to set an equivalent deadline for app updates. 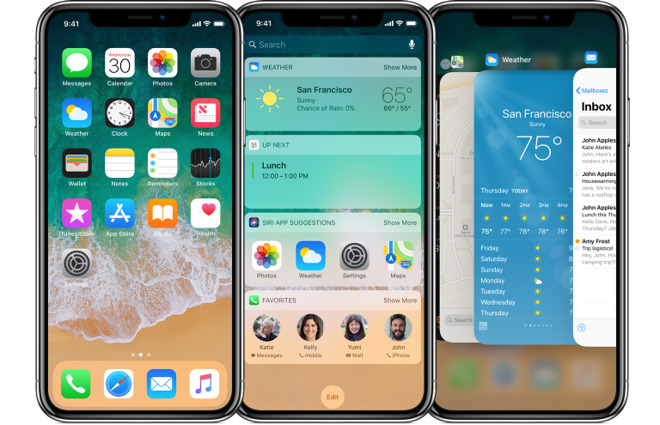 Today's notice is likely a signal that that Apple considers the iPhone X the new template for the iPhone moving forward. The company is expected to ship three new iPhones this fall, including 5.8- and 6.5-inch OLED models and a 6.1-inch LCD variant. All of these may include some sort of display notch, since they're expected to offer Face ID across the board.